S.510 would prohibit farmers, food producers, food manufacturing facilities, and U.S. importers from retaining full control of their operations, products, product distribution, and business records by granting unprecedented authority to the Secretaries of Health and Human Services, Agriculture, and Homeland Security. S. 510 is currently on the floor of the U.S. Senate and a vote on Final Passage in the Senate is scheduled for November 29, 2010. Please Email your Senator today and let them know that Food Safety is important in rural America but this measure misses the target. Title II of the act requires the Secretaries to fund inspection of facilities, the establishment of projects to explore, evaluate, and track processed food, and train local, state, and federal government employees to comply. While Title III of the act primarily deals with imports and products produced in other countries, it additionally requires the FDA to fund and establish FDA offices in other countries, recognize third-party bodies that train and employ auditors, and do all of this on the American Taxpayer’s dime. Although Senator Jon Tester (D) of Montana was able to amend S. 510 and reduce the burden of some small farmers and facilities, it does not fix the overbearing intent and implications of the master bill. The only folks who are exempt under the amendment are farmers who sold less that $500,000 worth of food in the previous 3-year period and whose food was sold to consumers, restaurants or grocery stores. (Third-party food brokers are subject to this measure, and are not exempted under this amendment.) Additionally, protected entities would have to sell their products in the state where the product was made, or harvested, or within 275 miles of that original site. Currently this measure is up for final passage in the U.S. Senate and is scheduled for a vote on November 29, 2010. A similar measure, H.R. 2749, The Food Safety Enhancement Act was passed by the U.S. House last year. This measure also has increased record-keeping requirements. At the 144th National Grange Convention held recently in Charlotte, North Carolina, Grangers repeated their support for strong inspection standards on all livestock, feed, meats, and dairy products. Grangers believe the USDA and FDA should collaborate on food safety issues and that the two agencies should be given more power to order food recalls and close down firms with records of serial contamination violations. The National Grange supports legislation to implement pathogen detection and reduction strategies based on sound science that targets micro bio-contamination by pathogens that may be harmful to consumers. Grangers urge Congress to fund the USDA to develop and implement educational programs relative to the safe handling of foods. However, the National Grange opposes federal legislation that would presume that all food, including food produced for local market sale and consumption, should be treated as potentially hazardous and would require family farmers to produce and maintain onerous amounts of paperwork indicating what production inputs were purchased and when food produced on an individual farm will be consumed, in order to reach an unattainable goal of total traceability. Additionally, the National Grange opposes federal legislation that would add an unnecessary layer of national bureaucratic paperwork to the business of producing food to meet local demand without demonstrating any commensurate food safety benefits to consumers, or cost reductions that benefit family farmers or their local customers. Please email your U. S. Senator and urge them to oppose S. 510, the FDA Food Safety Modernization Act, which causes undue burden to farmers and ranchers with onerous regulatory and record-keeping mandates, and although well-intentioned, misses their target of increasing food safety. The Food Safety Modernization Act is currently on the floor of the U.S. Senate and a vote on Final Passage in the Senate is scheduled for November 29, 2010. Please email your Senator today and let them know that food safety is important in rural America but this measure misses the target. If you have any questions or comments regarding this Action Alert, please contact Legislative Program Assistant Molly Thompson by e-mail: gboatright@nationalgrange.org; or by phone: 1-888-4GRANGE, ext. 107. 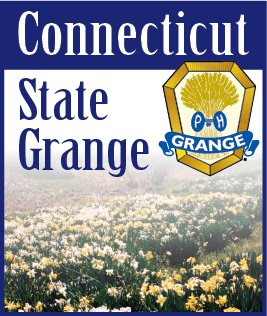 Thank you for your grassroots participation in the National Grange Legislative Program.